Turkish PM Ahmet Davutoglu has announced he will resign at an extraordinary congress of his ruling AK Party later this month. 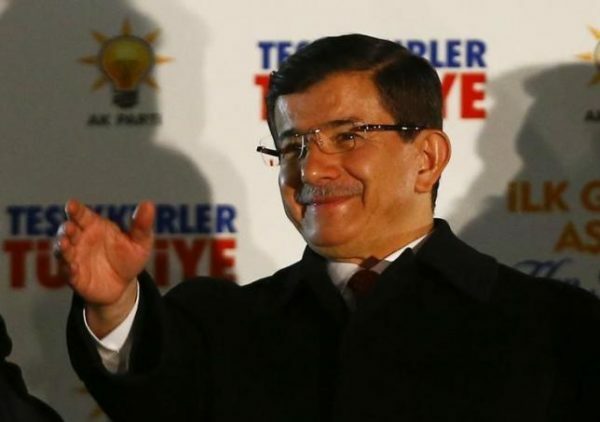 Ahmet Davutoglu is believed to have fallen from favor having disapproved of President Recep Tayyip Erdogan’s plans to move Turkey to a presidential system of government. However, in a speech, Ahmet Davutoglu pledged his loyalty to Recep Tayyip Erdogan, saying he bore no anger to anyone. His successor will be chosen when the congress meets on May 22. Earlier on the day, presidential aide Cemil Ertem said there would be no snap elections following the appointment of a new leader. Cemil Ertem also said Turkey and its economy would stabilize further “when a prime minister more closely aligned with President Erdogan takes office”. Ahmet Davutoglu met Recep Tayyip Erdogan for nearly two hours on May 4 but differences were clearly not resolved. The prime minister said he would continue as a party legislator and would not try to divide the AKP. “I feel no reproach, anger or resentment against anyone,” Ahmet Davutoglu said. After Recep Tayyip Erdogan was elected president in 2014, he hand-picked Ahmet Davutoglu to succeed him as head of the AK Party (Justice and Development Party). However, the prime minister’s unease with Recep Tayyip Erdogan’s plans to move to a presidential system, among other policies, has been evident in recent months. In a sign of his weakening influence, Ahmet Davutoglu was stripped last week of the authority to appoint provincial AK Party officials.